Why buy your sausage or ground meat in the meat section of the grocery when you can go the extra mile and make yours at home? You’ll get more bang out of your buck and even make sure you’re getting the best meat quality. And for sausage makers at home, it will allow you to exercise your cooking creativity and create healthier and more palatable sausages. Makes high-quality ground meat all the time. Everything comes out fresh and properly ground up – no solid chunks of meat. The grinding plates included come in course and fine settings so you can choose the texture of ground meat you want. Whether you are grinding pork, beef or poultry meat, you should be able to produce quality results all the time. Do you own a Kitchen Aid mixer? Here’s the thing, this grinder can be attached to the head of the mixer. There is a slot there that this grinder can be connected to. That’s where the grinder will get its power and motor juice from. That means you don’t have to buy a complete grinding machine because if you already own the mixer, you can just get this attachment. 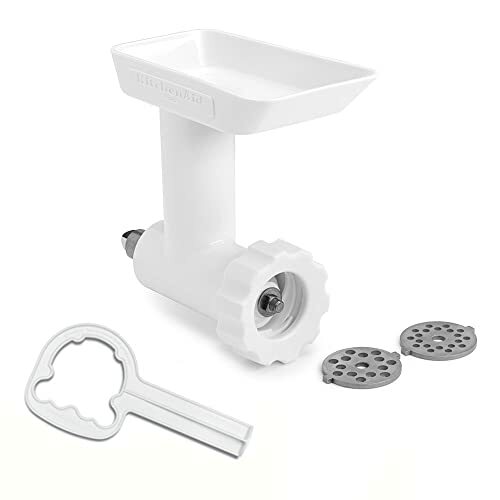 With the sausage stuffer and the comparatively big compartment of the KitchenAid FGA Food Grinder attachment with Sausage Stuffer Kit and Food Tray, you can easily formulate sausage recipes. Who knows? You can turn this into a business one day. 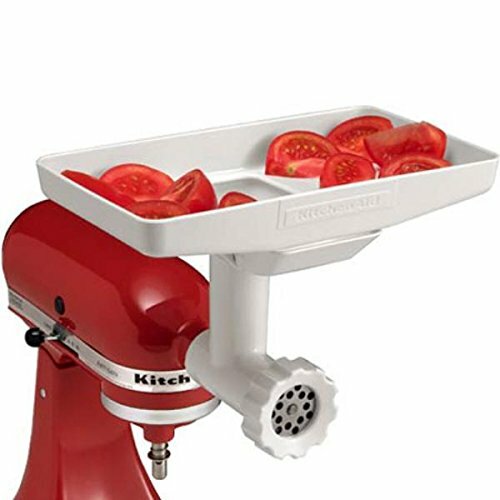 Attach your KitchenAid FGA Food Grinder to your KitchenAid mixer. There should be a slot at the topmost part of the mixer where the grinder can be connected to. Attach the plate you need to create the meat texture you want. Cut your meat into small pieces and remove bone. Place them on the grinding plate. Use the included stir to push the meat to the tube. Turn the mixer on to allow the meat to grind. Always clean your grinder. Detach the parts and wash them in soapy water. Using lukewarm water helps get rid of the oil. Since it’s made from plastic, oil tends to cling to it a lot. In case of discoloration of the plastic materials, soak it in warm water mixed with baking soda. It will help get rid of the stains caused by meat blood. Always dry the parts, particularly the metal parts. Use a towel to dry them off completely to avoid rusting. 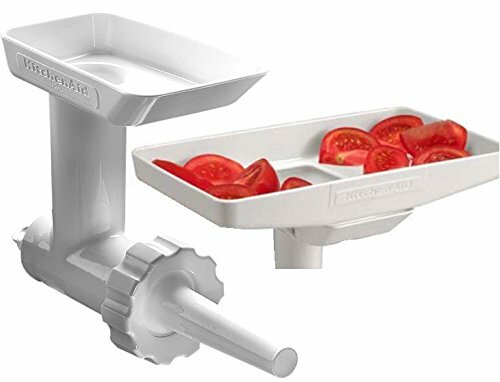 Over 50% of the people who bought this meat grinder are pleased with the consistency of the ground meat and its easy-to-use functions. Most didn’t have a hard time attaching it to their mixer. Maintenance and clean-up weren’t an issue in most of the customer reviews. They like how inexpensive it is and how well it delivers great ground meat for its cheap price. While the materials are not the most durable in comparison to other commercial brands, with proper care and maintenance, this grinder should last you for years. Can it produce good quality ground meat? Yes. Choose good quality meat from a butcher’s store and ground it up with this. Pick the coarseness level and you’re great to go. But don’t expect commercial-grade ground meat. The quality is great for home use but should not be compared to commercial grade meat. 3. Can I use any Kitchen Aid mixer? Yes. It’s compatible with all Kitchen Aid mixers. If you are looking for a meat grinder that will not bust the bank, go for KitchenAid FGA Food Grinder. It’s a great starting equipment you can use at home to get you in the art of grinding your own meat. You can read more information about meat grinder reviews by click here.